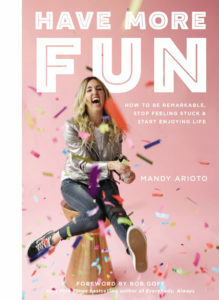 Mandy grew up in a home where every Saturday morning after eating breakfast together, her parents would look across the table and tell her and her brother, to “go outside and have an adventure and don’t come back until you do”. This means that she did a lot of really dumb stuff. It also means that from an early age she was challenged to see possibilities and live in unconventional ways. An unstoppable force of hope, a teller of unbelievably true stories, an audacious risk taker and a trusted confidant, Mandy continues to have adventures and share the beauty and heartache that comes from living as a complicated human being. In a world telling us what we need, Mandy helps us figure out what we want, and then inspires us to do more of that. 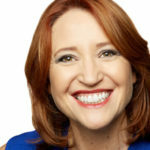 Featured on MSN, FOX News, The Huffington Post, Buzzfeed, The New York Times, theknot.com, thenest.com, and many other media outlets, Mandy is an internationally sought-after commentator, speaker and writer. Her unique takes on nearly every subject make her both engaging and thought-provoking. 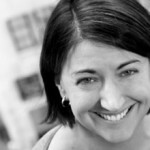 Amy strives to bring the freshest thinking on products and play to inform and inspire both her clients and colleagues. She formerly headed Strategic Planning at Strottman, a design and manufacturing company focused on bringing out the kid in everyone through creative, engaging, play-based experiences. 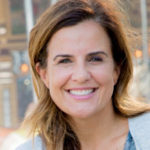 Amy is a recognized youth expert and advocate, having spent her career understanding kids, families and play through applied research and consulting. 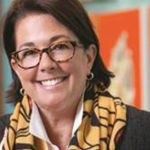 She has collaborated with some of the most playful organizations on the planet, including Nickelodeon, Disney, Crayola, Scholastic, Kellogg and The Boy Scouts of America. Her previous posts included chief author and strategist for C+R Research’s YouthBeat service and partner at Insight Strategy Group. Amy earned her Ed.D. 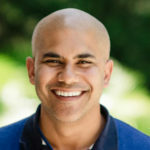 in Human Development and Psychology from Harvard’s Graduate School of Education, and is a Ph.D. candidate in Childhood Studies at Rutgers University. 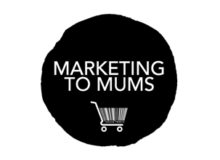 Katrina is founder and CEO of Marketing to Mums, a marketing and research consultancy in Melbourne, Australia. She is a marketing strategist who specializes in understanding mothers as a powerful market sector, through experience and research. 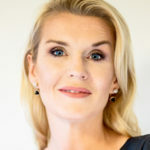 Katrina is the author of best-selling book, Marketing to Mums, and is highly regarded for her creative growth strategies and her ability to negotiate strategic partnerships to increase sales and profits in selling to mums. 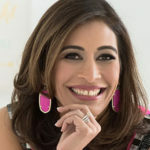 An award-winning businesswoman and mother of three, Katrina is a sought after international speaker and a regular contributor to business media. 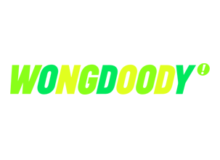 Skyler is the President of brand experience agency WONGDOODY. She has built her career driving award-winning, transformative work for clients across a range of categories, from consumer packaged goods to technology to entertainment. Skyler has led several female empowerment initiatives, including #TheReal10 which aims to close the gender pay gap and #IPumpedHere, which encourages workplaces to provide better facilities for breast-pumping employees. 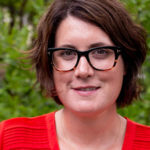 She is cofounder of June Cleaver is Dead, a consultancy within the agency that specializes in brand experiences for moms. Skyler thrives in high-energy environments where you rarely sit down, which is a good thing, since her clients at home include three sons under the age of eight. 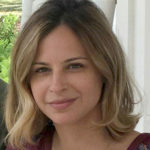 Nicole Feliciano is the CEO of Momtrends Media a million dollar brand that publishes two of nation’s top blogs for moms: Momtrends.com and TheShoppingMama.com. 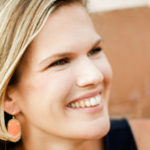 Her company produces digital content as well as virtual and live events all geared to delight and engage modern moms. A former fashion executive, she embraces the changing social media landscape and always wonders, “What’s next?” She attended Vanderbilt University in Nashville, TN and currently resides in Brooklyn, NY with her husband and two girls. Mom Boss: Balancing Entrepreneurship, Kids & Success is Nicole’s first book, it provides a roadmap for startup success for women who have big ideas, but are struggling with how to fit it all in with family. In her current role, Jola consults with a variety of Fortune 500 clients, looking to understand consumers in the United States and abroad. 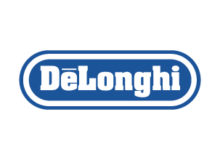 Jola’s category expertise includes media & entertainment, advertising and PR, health, consumer packaged goods, personal care, beauty & fashion, food, retail, marketing, government, and non-profit. Previously, Jola worked in GfK Qualitative division, where she was responsible for managing qualitative research projects and writing reports for numerous corporate and non-profit clients. 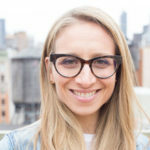 Jola is fluent in Polish and Russian and holds an MBA from Pace University (New York), with a dual major in Marketing and Finance; a BA in English and American Literature from the University of Wroclaw (Poland); and a BA in American Literature from the State University of New York. Jola represented GfK Consumer Life (Roper Reports) at many conferences including the TMRE, The Media Insights Conference, the North American Shea Trade and the AMA Marketing Conference. Jola moderated a panel of experts at the Debunking Millennials Mediapost event in NYC. 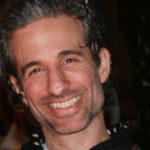 Jola is a columnist at MediaPost and an author of “Want To See What’s Next? 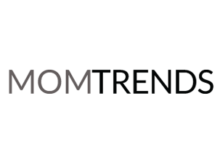 Look To Future Moms” “Tapping the Passions of Food Allergy Moms,” “Retail Today and Tomorrow: Innovating in the Age of Disruption,” the “Global Mindset ahead of the Olympics,” “Power of Visual Influence” and “the Smart Approaches to Green Targeting” blogs. 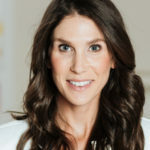 For over a decade, Zanny Oltman oversaw all marketing partnerships for Destination Maternity Corp., the world’s largest maternity apparel retailer, including the brands A Pea in the Pod and Motherhood Maternity. Zanny was responsible for all marketing opportunities created for companies serving expectant mothers and new families. She led all data licensing initiatives, sampling programs, in-store signage campaigns, digital sponsorship, and in-store and online-subscription based programs. Tailored to each partner’s needs, these programs connected with Destination Maternity customers searching for the best products and services for them and their families. 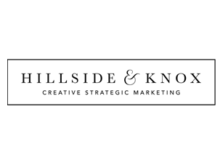 Zanny launched Hillside & Knox LLC in August of 2016 and consults for companies contributing expertise on life-stage marketing and strategic partnerships. Zanny graduated from the Roy H. Park School of Communications at Ithaca College with a B.S. in Television Production and received an MBA with a major in Marketing from Drexel University. She lives in the Philadelphia area with her husband and three children. Prior to founding Allette, Celine worked for over a decade at some of the world’s most prestigious and creative advertising agencies on high profile clients. Several of her campaigns have won Cannes Gold Lyons and other industry awards. She also taught marketing and advertising at the London School of Marketing. As a lifelong fashion lover, the birth of her first child left her wondering why no one had invented cooler looking nursing clothes. With an entrepreneurial spirit and the right business partner, Allette was launched in 2016. The brand has already been featured in Fast Company, British Vogue, multiple renown blogs and has been picked up for distribution by Nordstrom. Celine lives in Park Slope, Brooklyn with her husband and two boys. Jeff Harry believes that there’s nothing quite like watching a Senior Executive screaming with delight while skipping after a tiny LEGO® car. As the VP of Fun at Play-Well TEKnologies, he and his team show kids and adults how to tap into their true selves-feel their happiest and most fulfilled – all by playing with tiny LEGO® pieces. 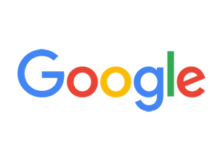 Jeff has worked with Google, Microsoft, Southwest Airlines, Adobe, the NFL, Amazon and Facebook, helping their staff to infuse more play into the day-to-day. It turns out that giving people permission to be really silly helps them be more productive, learn faster and love their work. His play work has been featured on AJ+, SoulPancake, The SF Chronicle and CNN. Jeff understands that, while we spend most of our time pretending to be important, serious grown-ups, when we can let go of that facade and just play, magic happens. Fully embracing your own nerdy genius – whatever that is – gives you the power to make a difference and change lives. 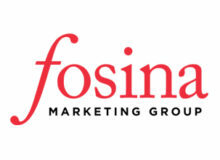 Jim is the Founder & CEO of Fosina Marketing Group, a direct to consumer subscription marketing agency. 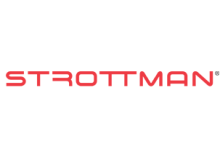 He provides their clients thought leadership, business building expertise and marketing solutions that today’s brands need in the highly competitive direct to consumer marketplace. These solutions are designed to meet and exceed KPI performance metrics. 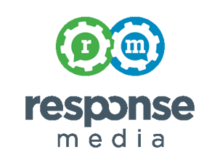 Jim and his team have helped brands such as Save the Children, AARP, World Book, AMC, Disney, Hearst, March of Dimes and many more achieve their goals and objectives. In 2012, Jim and his wife Marina launched Amora Coffee, their own direct to consumer subscription coffee business based on his keen understanding of what it takes to build and grow a subscription business. The company continues to grow significantly, adding Amora Artisan Tea to the offering. Jim gives back through his Board tenure/service to Junior Achievement of NY, Marketing EDGE and his unwavering support of the Juvenile Arthritis Foundation. 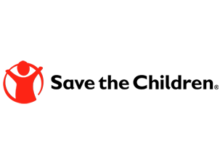 Jennifer Kendra joined Save the Children in 2013, supporting Save the Children’s efforts to ensure all children have a healthy start, the opportunity to learn and protection from harm, every day and in times of crisis, to give every child the future they deserve. 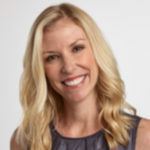 In her current role, Jennifer is the key driver of cause marketing campaigns for the agency – leading specifically on large initiatives including International Day of the Girl and “Invest in Childhood,” Save the Children’s campaign for early learning – connecting corporate partners, consumers and Save the Children’s mission. In addition, Jennifer leads consumer-facing efforts to build best in class partnerships with Ferrari, Lord & Taylor, Penguin Random House and Disney. Jennifer brings more than 20 years of business development and strategic marketing expertise to Save the Children from her for-profit experience leading non-traditional business units at Meredith Corporation and Time Inc., as well as her broader work in experiential marketing and filmmaking, with market leaders including Coca-Cola, GSK, Johnson & Johnson, Pfizer and Procter & Gamble. 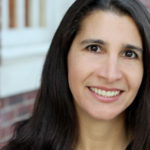 Jennifer, a Connecticut native, earned her BA from Mount Holyoke College. A mom of 3, Jennifer is an active community volunteer and youth field hockey coach in her hometown of Wilton. Amy has been part of the Sylvan family since 2006, where she has served in various leadership roles including VP, Marketing, Senior Director of Brand and Customer Acquisition, Director of National Advertising, and Director of Co-op Advertising. She has been instrumental in delivering integrated marketing campaigns for Sylvan centers that include national components working in conjunction with a local focused strategy to drive business to local centers. As a mom of three (a 10-year-old and 8-year-old twins), she thrives on bringing marketing solutions that engage more parents with Sylvan so that their children thrive. 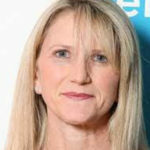 Prior to Sylvan, Amy held senior roles in the media department of Doner, a full-service, performance-driven advertising agency. Amy holds a BA from Penn State University and was a member of the 2017 class of The GBC LEADERship. 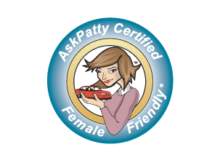 Patty David has over 25 years of experience in the research field. Consumer insights is her passion. 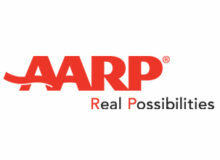 At AARP, Patty directs the discovery and development of consumer insights for the personal fulfillment offerings. What she calls the ‘fun’ side of AARP. 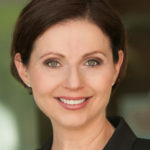 Katherine Cullen is director of retail and consumer insights for the National Retail Federation Research team. In this capacity, Katherine manages NRF’s consumer holiday research, develops NRF’s quarterly Consumer View and oversees new consumer trends research initiatives and partnerships. 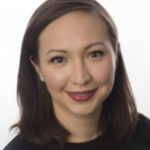 Prior to joining NRF, Katherine worked in customer strategy and intelligence at Macy’s Inc. where she developed customer-centric strategies to inform assortment, marketing and distribution decisions for Macy’s womenswear brands. Katherine also spent six years in fraud and programs analysis for the Department of Justice and Department of Education. Originally from California, Katherine has an MBA from New York University’s Stern School of Business with specializations in marketing and business analytics. Agata heads up all Strategic Partnerships at Destination Maternity, home of A Pea in the Pod and Motherhood brands, the world’s largest maternity fashion company. She develops and activates creative marketing partnerships with external brands who might benefit from access to pregnant women and new moms. She is also responsible for all company business development efforts as well as leased, licensed and international partnerships. Prior to this role, Agata served in a similar capacity at David’s Bridal, marketing to brides. Agata has close to a decade of life stage marketing experience including traditional as well as new media and has worked with some of the most recognizable brands. Agata started her career at Johnson & Johnson working on both consumer and pharma side. She holds an MBA from Villanova University and a dual degree in Economics and in International Business from Temple. Agata is originally from Poland and resides in the Philadelphia area with her husband and son. She gives back by serving on the board of Hopeworks, helping youth in Camden, New Jersey- one of the most violent cities in the US – get education and jobs in the technology space. Andrea began her career as a computer engineer before jumping into the world of high fashion where she spent more than a decade as a buyer for fashion icon and pioneer, Donna Karan. Several years later, with four little boys at home, she found herself searching for fun, educational activities that could be easily pulled together and incorporate both the left and right sides of the brain. In 2017, she created Raising Dragons, a cross-platform destination that features short videos of simple science, technology, engineering, art and math (STEAM) activities. The response to Raising Dragons from families, educators, and popular brands such as Babyganics, Geomag, and Green Toys has been incredible. In just over a year, Raising Dragons has amassed more than 500,000 followers and more than 50 million video views via her distribution channels. 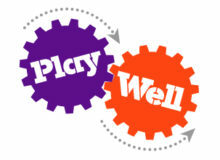 Enna is responsible for leading in-center experiential initiatives that are designed to increase visits and dwell time. 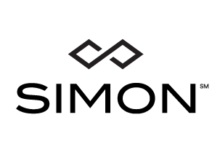 She has worked with Disney Junior, Mattel and other power house brands to create unique activations that support overall brand goals for the partner and enhance the customer experience at Simon properties. Enna has significant experience in strategic planning, branding, special events, public relations, community outreach, grand openings, integrated marketing communications, partnerships, customer service and social media. She has worked in marketing roles for other real estate developers including Howard Hughes Corporation and Westfield. 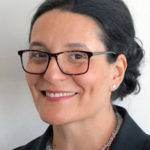 Enna holds a Master of Business Administration from DePaul Kellstadt Graduate School of Business in Chicago, Illinois and a Honors Bachelor of Arts from York University in Toronto, Canada. But more importantly, you should know that she drinks too much coffee, may have mercury flowing in her blood from overindulging in Sushi and has accumulated more than a million air miles. She lives in the Chicago area with her husband and two daughters. 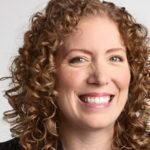 Rachel Curry is responsible for the development and implementation of strategic marketing programs across Volvo’s platforms. From end-to-end consumer communications, to new product launches, Rachel and her team manage digital platforms for the brand and all Volvo retailers. Rachel also leads the company’s social media (follow along at @volvocarusa), influencer marketing and content strategies. Prior to joining Volvo, Rachel held marketing roles at Stew Leonard’s and Subway World Headquarters in both Domestic and Global marketing capacities. Rachel is originally from the UK and resides in Connecticut with her husband and daughter, where she drives a 2018 V90 Cross Country. Meg grew up in Connecticut and when she wasn’t busy pretending to be a mom, she was in the kitchen learning family recipes. She won over her husband, Alan, whom she met her freshman year at Stanford, with some very fancy home cooked meals. After working in finance and strategy for Gap and NBC-Universal, Meg returned to Stanford where she earned her MBA. Now with three kids of her own (Avery, 9; Brooks, 7 and Ryder 4), Meg’s husband doesn’t see too many of those fancy meals. But her kids eat very well! She believes good food is all it takes to make a friend, and she is grateful for all the friends she has made through her videos. 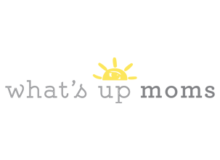 Elle started What’s Up Moms after searching for how-to videos as a new mom and wanting more. A digital media veteran, she reconnected with Stanford classmate, Meg Resnikoff and the rest is (well-documented) history. 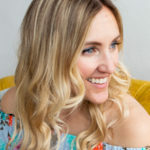 In addition to creating videos for companies such as Motts, Disney, Kohler, Glad and frequently serving as a YouTube brand panelist, Elle is extremely passionate about helping other moms share their well-earned expertise. Her favorite comment is “That’s my life too!” and is thankful for how WUM’s growing network of influencers have added to her own parenting experience. Elle’s daughter Presley (7), son Ford (5), daughter Tess (2) and her (usually cooperative) husband Ross are often featured in her videos. Nichole has focused her career within the healthcare industry, successfully leading global, regional, and in-market strategic engagements for her clients spanning product, portfolio, and corporate assignments. Throughout her career, she has worked with industry leaders such as Pfizer, Lilly, GSK, Johnson & Johnson, Danone, Nutricia, Genentech, and the Mayo Clinic across categories such as women’s health, diabetes, oncology, rare disease, and nutrition. She has extensive experience in a multitude of disciplines, including brand & marketing and behavior change. Nichole was the winner of the Patient Education Program of the Year at the Pharmaceutical Marketing Awards and was invited to join the Department of Health Task Force in developing standards of patient communication. 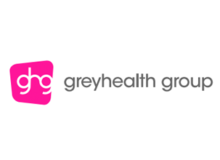 She graduated from Manchester University with a BSc (Hons) in Chemistry and completed her postgraduate degree in Marketing, achieving Chartered Marketing status. She lives in New Jersey with her husband and 2 young boys, who keep her very busy! 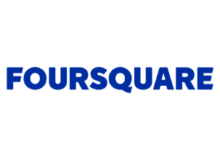 At Foursquare, a location technology platform, Ariel synthesizes first party data into actionable insights and strategies for partners, helping brands, agencies, and researchers uncover, predict and capitalize on behavioral patterns and emerging trends. 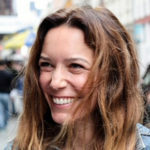 Prior to Foursquare, Ariel worked in product marketing at GoPro and growth strategy at NYC startup accelerator Grand Central Tech. She also led consumer insights and client services at lifestyle publishers including PureWow (acquired by VaynerMedia) and UrbanDaddy. Ariel graduated from Georgetown University with a BA in Marketing & Psychology and received an MBA from NYU Stern. Kurt has been an advocate for infant health since starting Owlet in 2013. The venture-backed startup best known for its flagship product, the Smart Sock baby monitor, just recently received its next phase of funding. It has been recognized by Forbes “Next Billion-Dollar Startup” list, Entrepreneurs “100 Brilliant companies” list and a finalist in Fast Companies “2017 World Changing Ideas Awards.” In the past year alone, The Owlet Smart Sock has been awarded by top parenting media including: BabyCenter Moms’ Pick Awards, The Bump Best of Baby Awards, Babylist Best Baby Products, and What to Expect Best Baby Awards. Owlet is currently a finalist in the Extreme Tech Challenge (XTC), the world’s largest startup competition. Kurt lives in Lehi, Utah with his wife, two children (ages 4 and 2), and one on the way. Anjali is a business coach and marketing consultant. She specializes in business marketing, strategy, and branding and focuses on the female entrepreneur, mom, and small business markets. 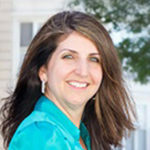 She hosts local & virtual mastermind groups, an online community (Mompreneur Tribe Facebook Group), and local meetups to connect, educate, and inspire female entrepreneurs. She is also the owner and operator of Kidville Bethesda, a children’s franchise in downtown Bethesda and is a regular TV spokesperson on DC and Baltimore stations including Fox and WUSA 9. She holds an MBA from NYU Stern School of Business as well as a BBA from the University of Michigan. 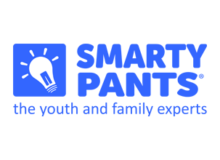 Michelle is a vice president at Smarty Pants, a leading youth and family research and consulting firm. As the company’s “quant savant,” Michelle leads research for industry giants like Target, Viacom, Kellogg’s, Crayola, and Aetna. Michelle is a gifted and meticulous research practitioner and educator. She speaks at industry events, universities, and even the White House, shedding light on contemporary families and helping marketers grow their brands. 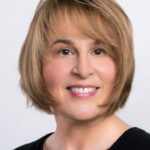 With a doctorate in Developmental Psychology from the University of Michigan and a bachelor’s from Cornell, as well as 20+ years of market research experience, Michelle is an expert on the behaviors and trends of kids and moms, and how to apply them to business-building strategies. Michelle began her career at the Families and Work Institute, where she studied parents’ work-personal life balance. She has also served as a director at Yankelovich and The Family Room. Her proudest accomplishment is being a mom to two sons. 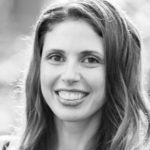 Thanks to them, you can usually find her at the hockey rink in her hometown of Stamford, CT.
Randi is an author, mindfulness and wellness expert, and founder of Beyond Mom. Born from her own experience of motherhood, Beyond Mom is harnessing a movement of women who are taking back their right to self-love, self-care and community as a pathway to fulfillment. Randi encourages moms to cultivate a life that embraces the gifts of motherhood but expresses all that they are as individuals. 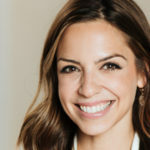 She is an ambassador for Athleta and has partnered with Deepak Chopra Homebase at ABC Home, Loyal Hana, WellRounded NY, HeyMama Co, SHE Summit, Appleseeds, SoulCycle, The Mother Company, and IntenSati and Physique 57. Randi has been featured in Women@Forbes, HuffPost, The New York Times, Well+Good, MindBodyGreen, Elephant Journal, Cheddar, FOX5 NY, Great Day Washington, The Honest Company Blog and many more. Randi’ book, Going Beyond Mom, was published in September 2017. In June 2017, Meryl joined Kids II®, a global company of industry-changing innovations for parents and families around the world with a portfolio of leading infant, baby and toddler brands and products such as Baby Einstein™, Bright Starts™ and Ingenuity™. Meryl is responsible for the strategic marketing and execution of these brands consumer engagement initiatives, inclusive of eCommerce, PR and Content Creation. 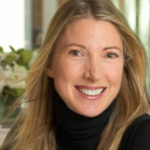 Prior to Kids II, Meryl was VP of Global Digital Marketing for the Estee Lauder Brand, responsible for driving the consumer engagement strategy. Her vision and entrepreneurial spirit resulted in her being tapped to lead the creation and evolution of the digital marketing function for Estee Lauder. Prior to her digital leadership role with Estee Lauder, Meryl held numerous brand marketing roles at Estee Lauder and Avon. She holds a BS from the University of Pennsylvania and an MBA from NYU Stern’s School of Business. Meryl recently relocated to Atlanta with her husband Brett, daughters Lauryn and Cara and dog Bailey. She loves spending her free time taking the girls on bike rides and exploring new places. 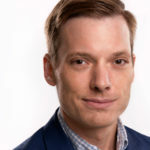 As the co-founder and head of operations for Be Curious Partners, a venture capital fund investing in tech-enabled startups to support parents, Ross Kimbel is instrumental in the fund’s growing portfolio of companies. However, working and investing in startups has been core to Kimbel’s career. 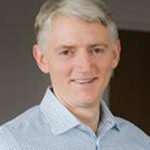 For instance, while he was Global Director of Innovation and Entrepreneurship at The Coca-Cola Company, Ross co-founded a seed-stage venture platform called Coca-Cola Founders which built a portfolio of 15 companies in 10 countries in less than three years, generating a 4x return on invested capital within five years. Through this platform, Coca-Cola partnered with experienced entrepreneurs to solve some of the company’s biggest growth challenges around the world. In the year since being founded, Be Curious Partners has invested in five startups and is looking to invest in up to 10 more as it rounds out its first full fund. When he’s not working one deals and helping entrepreneurs build their companies, Ross and his wife are busy chasing their two daughters, though he’s well equipped for that as he also loves long distance running. 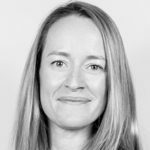 Catherine Merritt is CEO of Spool Marketing and Communications, an integrated marketing and PR agency she founded in 2016 along with a cohort of media and agency ex-pats who believed a new agency model is needed for today’s companies and brands. So, she set out to build it with Spool. Catherine has over 15 years of communications and marketing leadership experience from her roles at global agencies where she has overseen many of the agencies’ largest communications and public affairs clients. 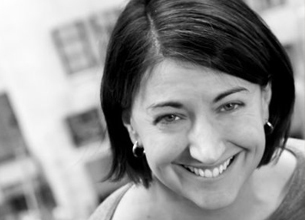 In her last agency role, Catherine was an SVP and consumer practice lead. 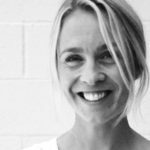 Having run global agency practices as well as launching, running and selling startups, Catherine brings a unique blend of experiences, skills and perspectives to each client she partners with. She has helped her clients launch entire industries, grow brands, tell stories and at the end of the day, everything she does is driven to help her clients grow and drive business. Catherine is also a wife, a mom and a believer that Champagne should not only be sipped at celebrations. She and her family live in Evanston, Illinois, just outside of Chicago. Katie is an experienced entrepreneur and venture capitalist skilled in strategy, startups, investing, and public speaking. 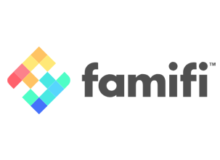 She is CEO and co-founder of BabyPage, an online platform and mobile app that makes it easy for parents to track their children’s milestones and capture every stage of childhood. Katie also heads the New Mexico office of Epic Ventures, a national venture capital fund, and she is the founder of the Ski Lift Pitch, an annual event at Taos Ski Valley that attracts investors from all over the country and gives startup founders a unique opportunity to connect with investors in a meaningful way. 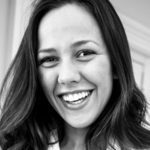 Katie supports the entrepreneurial ecosystem in several ways, including as board member of ABQid and the Coronado Ventures Forum, and she has taught a class in technology entrepreneurship at UNM’s Anderson School of Management. In 2013 Katie received the New Mexico “40 Under Forty” award and the NM Tech Council’s “Women in Technology” award in 2015. Katie has a BS in engineering from MIT and an MBA from the University of Chicago. She is a proud mom of three kids who keep her and her husband very busy and very happy. Kinley heads up client partnerships for June Cleaver is Dead, a consultancy within WONGDOODY that specializes in brand experiences for moms. She also leads engagement and development of their proprietary agile insights platform, The Mother Board. Prior to diving into all things motherhood, personally and professionally, she spent more than a decade driving brand experiences for a diverse set of clients in industries from app-based tech to athletic apparel and hospitality to healthcare. Efforts she’s most proud of include award-winning campaigns championing women and mom in the workplace. As a mom of a toddler with a second baby on the way, she wears motherhood on her sleeve to help make a positive impact on how brands represent and communicate with moms. 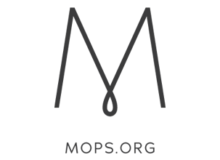 Elle is the co-owner of Simple Wishes, the leading hands-free pumping bra in the U.S. 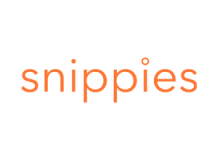 Simple Wishes is a sister-owned company based in Connecticut, focused on providing products to support women during their breastfeeding journey, to give them a stronger sense of confidence in their ability to provide for their family and themselves. Elle has managed a variety of departments including marketing, brand partnerships, sales outreach to third party independent retailers, Amazon account optimization and brand protection, logistics and operations at their in-house fulfillment center and customer support. She is one of nine children involved in Simple Wishes and Pumping Essentials. She enjoys the ability to work with family on such a meaningful project that impacts so many women’s lives on a daily basis. 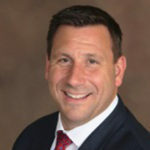 Jonathan previously served in multiple leadership roles in the sales and marketing fields at Fortune 500 companies, including Coors, Heineken, and Kobrand Corporation. He lives in Manhattan with his wife and three children, and notes that since child number 3, he and his partner might be creating Dear Dad Wine soon. 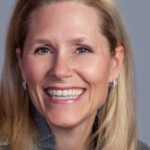 Susie Coulter is a 25-year veteran of the retail industry, with experience leading high-profile global brands at Ralph Lauren and Victoria’s Secret. From her first job as a seasonal sales associate at Harrod’s to her position as President/CEO of Victoria’s Secret Beauty, Susie has built a proven track record of strong leadership and mentorship that has significantly contributed to growing both people and the bottom line. In 2017, Susie and her creative partner, Rebecca O’Donnell, set out to create their own brand in the rapidly growing natural skin-care market. Bronty Beauty is a brand designed for women who want high-quality clean ingredients, functional skin benefits, and products that fit their lifestyles. In late 2018, Bronty will launch: a unique line of daily multi-use products, made from active botanicals and packaged with portability in mind. Born in South Africa, Susie has lived and worked in retail on three continents. She now lives in New York City with her husband and two children. Cooper was recently named by PR News as one of the top 50 “Game Changers in PR”. 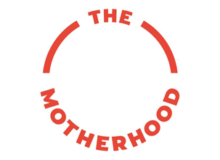 Having developed and led many of the decade’s premier social media campaigns on behalf of the world’s top brands and organizations, including Johnson & Johnson, The United Nations Foundation, Unilever, Nestle and more, The Motherhood, which specializes in social media influencer programs, is at the forefront of social media marketing’s evolution. Cooper and her team were named PR News Social Media Team of the Year and the PRSA Renaissance Awards’ Agency of the Year. As President and CEO, Paul ensures that Fred Rogers Productions presents the very best in educational children’s media on broadcast and digital platforms—and beyond. 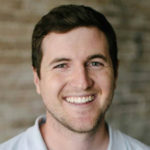 Paul most recently served as VP, Broadcast and Digital Media, steering the broadcast content and managing the digital production pipelines for Daniel Tiger’s Neighborhood, Peg + Cat, and Odd Squad, working with respective production partners for each. He also spearheaded initiatives that have taken all three series into communities around the country, working with public television stations, museums, science centers, libraries, volunteer organizations, and early childhood groups to provide meaningful content that supports the aims and priorities of the respective institutions. 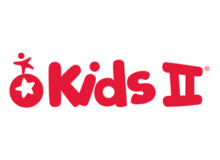 Before joining Fred Rogers Productions in 2013, Siefken spent nearly ten years at PBS, most recently as Director of Children’s Programming, where he managed the development of several PBS KIDS series, including The Cat in the Hat Knows a Lot About That, Sid the Science Kid, WordGirl, Wild Kratts, Fetch! With Ruff Ruffman, and Daniel Tiger’s Neighborhood. Prior to that, he managed sponsored promotions and media relations as well as produced interactive content for Cartoon Network. Before entering children’s media, Paul worked as a high school English teacher in both Georgia and North Carolina. He holds a BA in English from Duke University. Jacqueline’s fashion roots go all the way back to when she was a two-year-old, walking around her mother’s clothing boutique in high heels and diapers. She began her fashion career as an Executive Assistant at Kenneth Cole and moved on to be an Assistant Buyer at both Scoop and Henri Bendel. Throughout her years at Henri Bendel, Jacqueline developed the company’s hair accessories business and discovered her passion for product creation and development. She continued on the same path when she joined the Saks Fifth Avenue team, holding the position of Manager of Product Development for knitwear and all proprietary WEAR brands for three years. Being creative is something that has always come naturally to Jacqueline as does her love for kids, and the continual growth and impact of Camp POWER are of paramount importance to her. A native to New York and graduate of The University of Rhode Island, Jacqueline is now a proud mother of two whose kids will always GiveBackPack! 860.724.2649 x11 www.pme-events.com PME®, PME-EVENTS, PME ENTERPRISES, and M2Moms® are trademarks and servicemarks of PME® Enterprises, LLC. ©2018 PME® Enterprises, LLC. All Rights Reserved.